Contemporary time is symptomatic of its progress in many fields, especially in medicine. However, even at a time like this, there are cases of various diseases when the only thing we can do is diagnose medical helplessness. One of these diseases is cystic fibrosis, also called the “salt children disease”. Cystic fibrosis is a chronic genetic disorder that affects mostly the respiratory and digestive system. Why “salt children”? This disease manifests by significantly saltier sweat in patients. The disease’s name – cystic fibrosis – was derived from the original name pancreatic cystic fibrosis. The pancreas is changed significantly with the disease, there are small bags visible on its surface, they are called cysts. Later, research has revealed that pancreas is not the most important organ affected by cystic fibrosis – the diseases strikes the respiratory system, which is much more important. That is why the word pancreatic was later omitted from the disease’s name and “cystic fibrosis” became the full name. Another name of this disease is mucoviscidosis which indicates the level of mucus viscosity characteristic for cystic fibrosis. Cystic fibrosis is an inherited disease; people can only get it by inheriting the gene for this disease from both parents. Therefore, it is a disease that a child has from the day he/she is born and which manifests usually within the first year of age. How Frequent Is Cystic Fibrosis? Each year, approximately 30-45 children with cystic fibrosis are born in the Czech Republic. Each 26th individual in the Czech Republic is a carrier of the mutated cystic fibrosis gene. It shows that the probability of two carriers of this gene meeting is quite high. A child born to such a couple has 25% risk of being affected by cystic fibrosis. Logically, there are many people with this disease among us, but it has been misdiagnosed in them and they get treated for different illnesses, such as chronic bronchitis or repetitive pancreatitis. Cystic fibrosis may even get misdiagnosed as celiac disease (gluten intolerance) and last but not least also as male infertility. What Does CF Actually Do in the Body? Cystic fibrosis is a genetic disorder related to genetic mutation. The genes form fibery structures called chromosomes. There are 23 pairs of such chromosomes in the cell nucleus; each pair is a synthesis of one chromosome from the father and one from the mother. 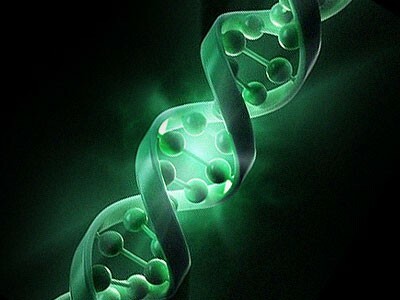 The mutation is a change in DNA that disrupts normal function of the genes. Cystic fibrosis is caused by the presence of mutations in the gene that influences insufficient production and function of the protein that controls the chloride and sodium ion channels in the cell membrane. If the respiratory tract, digestive system or the reproductive system are affected, the disease manifests with limited ability of the cell membrane to let chloride ions out and the sodium ions in. E.g. in respiratory mucous membranes, the limited transmittance of ions results the negatively charged chloride ions to pile up in the cells. These ions are therefore unable to leave the cell and the cells strives to preserve balance by absorbing a higher amount of positive sodium ions. The sodium draws water into the cell from the layer that washes the cilia of the epithelium of the respiratory tract. Consequently, this layer decreases in its size and thickens. Therefore, instead of having clear and watery mucus, people suffering from cystic fibrosis have mucus that is dense, viscous and gets stuck to the mucous membrane walls. In sweat glands, the situation is the very opposite concerning the chloride ions; they are dragged from the sweat into the cell and they cause the salt concentration as high as five times the normal. How to Tell That A Child Suffers from Cystic Fibrosis? Cystic fibrosis is a disease that can only be treated by mitigating its consequences; however, it is not curable at present. If the disease already exists within a family, it is necessary to keep that fact in mind and get the affected child’s siblings tested, even if they do not present any suspicious symptoms. Cystic fibrosis symptoms are also related to digestive problems. The affected person with respiratory problems tends to have lesser appetite and has trouble digesting the food properly, which leads to weight stagnation or loss which are related to growth disorders, flatulence, stomach ache and various swellings. Newborns manifest prolonged neonatal hepatitis. There are also signs of the disease in body proportions: the tummy is enlarged and the extremities are very thin. When liver is affected, skin and whites of the eyes turn yellow. As many as 99% of affected people have significantly saltier sweat than healthy individuals. In case of higher salt loss through sweat, the organism may respond by shock. Cystic fibrosis causes impotence in 98% of adult men and reduces fertility significantly in women. One of the ways to diagnose cystic fibrosis is the sweat test. In case of a positive result, various other examinations are carried out. The sweat test is based on examination of chloride concentration in sweat. This method is performed according to Gibson and Cook. Sweat is collected from the forearm under specific conditions which provoke sweat glands to produce a high amount of sweat. The sweat sample is then analysed in the laboratory for the concentration of chlorides in it. Concentration of chlorides in a healthy person is between 10 to 30 mmol/l of sweat; in case of cystic fibrosis, it reaches as high as 60 mmol/l of sweat. Naturally, the test result may show a borderline value between 30 and 60 mmol/l of sweat, but such results are inconclusive. In such a case, cystic fibrosis cannot be confirmed or denied. Further testing is necessary. The sweat test is an outpatient procedure and it is utterly painless. It takes about 45 minutes and the result is available in 3 hours. This examination is based on the search for the gene responsible for cystic fibrosis in a blood sample taken from the patient. It is a CFTR gene and over 1,500 of its mutations have already been discovered around the world. The cystic fibrosis diagnosis is confirmed when two mutations of this gene are found. This diagnostic method is applied if both the sweat test and the genetic examination failed to bring an unambivalent result, which is not very frequent. The patient undergoes this examination in a hospital. It is based on measuring the difference of transepithelial potentials between the surface of the nasal mucous membrane and the subcutaneous tissue. This examination is not available in the Czech Republic; if necessary, it is arranged for the patient to undertake it abroad. It has been established in the Czech Republic in October 2009. A drop of blood is sampled from the newborn’s heel and tested. This method allows us to detect the disease before it starts clinically. Several other congenital diseases are also tested in this manner. As we have mentioned before, cystic fibrosis symptoms are treatable, however the disease itself is incurable. It is very important to diagnose it in time. At present, the treatment focuses mainly on mitigating problems the disease brings. However, with increasing age of patients their condition deteriorates despite all the intensive and demanding everyday treatment. Everyday inhalation is necessary and important; the treatment further consists in respiratory physiotherapy and other exercise, with high-calorie diet. Frequently dosed medicinal drugs, especially antibiotics, are also essential. If the patient’s condition worsens, they need to be taken to a hospital and take high doses of antibiotics, inserted intravenously. In deteriorating breathing, oxygen therapyis applied. People affected by cystic fibrosis also go to regular check-ups to a so called CF centre. With regard to the aforementioned production of thick mucus in the lungs, CF patients perform inhalations to unchoke their air passages. This helps keep the lungs from being covered in mucus and contaminated by pollution and bacteria. Patients must inhale at least 3 times a day for 10-45 minutes. They inhale medicine dissolving the thick mucus, antibiotics and other drugs. Consequent respiratory therapy then helps them cleanse their air passages from the dissolved mucus. Contrary to the contemporary diet trends, patients with cystic fibrosis must maintain high-calorie diet. They should intake 40-50% more calories than healthy people of their age group. The difficult part of this part of the treatment is the loss of appetite in CF patients. They also frequently suffer from stomach ache. However, food is very important to them and it influences the condition of their respiratory tract. If their diet deteriorates, so does their breathing. In subsequent improvement to the diet, the quality of breathing usually does not go back to the original condition. Many CF patients also need dietary supplements in the form of nutritional drinks or nutrition introduced into the body either through IV or by means of a stomach probe. CF patients also need to take digestive enzymes in capsules before their every meal. This treatment is considered aggressive. Antibiotics start early and in high doses. Apart from taking antibiotics in the form of pills, patients must also frequently go to the hospital to get antibiotics intravenously as well. Patients with cystic fibrosis have to go through this twp-week stay at the hospital every 3 months or when their condition turns to worse. Unfortunately, cystic fibrosis is often accompanied by a complication in the form ofdiabetes. It is very difficult to combine the diabetes dietary regime with the necessary high-calorie intake. The only possible solution in the advanced form of cystic fibrosis is lung transplant. However, it is not a cure from cystic fibrosis. The treatment must go on. The transplant is usually followed by major improvement to the quality of life, but not all patients are able to go through with the transplant.